Referral programs are among the fastest ways to grow your business. Larger companies do it all the time because they know that offering excellent value up front will generate loads of repeat business and revenue down the track. Your cleaning business can offer a discount or free clean based on the number of referrals customers bring in. You’re already offering an excellent service, so why not get your customers to be your biggest advocates (and reward them in the process). Many businesses undervalue the power of social media to attract and retain new clients, particularly when those businesses are locally based. Your cleaning company might be limited to the local area you can cover, but that shouldn’t prevent you from engaging with potential customers through Instagram and Facebook. For example, Instagram lets you tag your images with locations and hashtags. Images of sparkly clean places of business or before and after shots let you show off your cleaning skills and ensure those images show up in the right feeds. According to Social Media Examiner, using hashtags on Instagram can help you to reach a wider audience, connect with people who have specific interests, and conduct market research on your competitors. It’s said that accounts with under 1000 followers can get an average of 77 interactions per post if they use at least 11 hashtags. Blend trending hashtags along with ones relevant to your industry, brand and location. Add #throwbackthursday or #motivationalmonday with #cleaningservicesydney or #commercialcleaningmelbourne (for example) and watch your engagement increase! There are plenty of free image production tools like Canva that you can leverage to create high quality image quotes to share under tags like #instaquote and #quoteoftheday. Produce image content around what your target market is interested in and start interacting with them where appropriate. Creating a Facebook Page for your business offers a number of benefits. Not only can you access the largest social media base in the world, but your page can act as a separate homepage for your business, including contact details and calls to action. Paid advertising through Facebook lets you drill down to targeted demographics to get good return on investment, while content that you create and market through your email newsletter can be distributed through the page as well. Post the right content and you’ll see more shares, likes, and increased attention on your company. A customer loyalty program is a great way to reward your frequent customers with bonuses and rewards. A simple and effective strategy is to offer a free clean after 12 bookings, but to offer the loyalty card with the first two bookings already filled out. Studies have shown that customers are more likely to pursue repeat business with the loyalty card if the first couple of milestones have already been stamped. Finding a unique point of difference that sets you apart from the competition will help grow your cleaning business. Being ‘different’ in your marketing and branding is one way to go about it. Creating unique slogans and marketing materials that help identify your business in a way that is both catchy and consistent will help potential customers identify with your brand over more generic cleaning services. However, branding will only take you so far – service delivery is just as important. Here, you will need to look at gaps in the market and industry trends. Are there any competitors that focus on using green products? Do your staff wear uniforms? These might seem like small details, but for the discerning customer they could be the factors make your company stand out. For locally based businesses, nothing works better than word of mouth. Get people talking about your brand by networking constantly. Building contacts through the community will give you the inside track on news and developments. Also, remember when building your network not everyone has to be a potential customer. Look to make friends with business and community leaders, event organisers and people on the pulse. When that new office block is approved for development, they’ll need a cleaning service. If you’re already in the know through your network it could make all the difference and provide you with plenty of leads. In the age of the internet, door-to-door sales may have lost some of their lustre, but that doesn’t mean you should abandon door knocking all together. Striking up conversations with your customer’s neighbours or other business suites can be a great way to build rapport and future customers. Many people are interested in cleaning services but aren’t sure where to start, or may have questions about pricing and service. A casual conversation between jobs can often work just as well as the most well thought out marketing materials. Offering a free or discounted clean first time can also help, and make sure to leave a business card. Cleaning needs come from everywhere. Try targeting real estate agents who might offer cleaning services as part of sale, or at the very least can pass on your details to clients in need. Other lateral sources of business include builders and property developers who regularly need cleaning crews to go through new property developments before final sale and approval. An email newsletter is a simple and effective form of digital communication that can leverage your existing mail list into repeat business. Don’t worry if you’re not the greatest writer in the world – some of the best newsletters out there are curated lists of articles from around the web. Focus on providing value to your readership and ensure contact info and branding is on every newsletter. It’s less about making hard sales and more about becoming an authority on your chosen topics. Focus on tips for keeping a clean office / workplace, industry news and information on hygiene and staying organised. Fundraisers, school fetes and markets are all excellent places to take your business and engage with your community. As a cleaning business, your customers are limited to where you can travel. Consider setting up stalls to showcase cleaning products and methods, or contribute to bake sales and other fundraising events with your branding clearly presented. Fostering a reputation as a community minded business that engages in the public sphere will ensure your cleaning business is on the lips of every local. 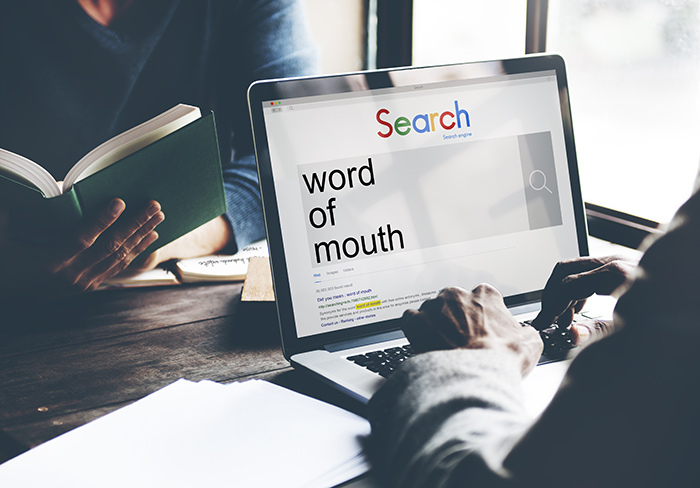 Whether it’s social media or just plain social, word of mouth is the best way for cleaning companies to attract new business. Any good cleaning business needs quality equipment. Alphaclean are the experts when it comes to providing sustainable, innovative and cost effective cleaning solutions. Powerful, reliable and built to the best standards, Alphaclean are your point of call for commercial cleaning equipment for your business.